It was a bit of a splurge to have an “0cean front” room, but it was worth it. (FYI: “Ocean FRONT” is different than “Ocean VIEW” One you are facing the beach, one you have to crane your neck to see it!) 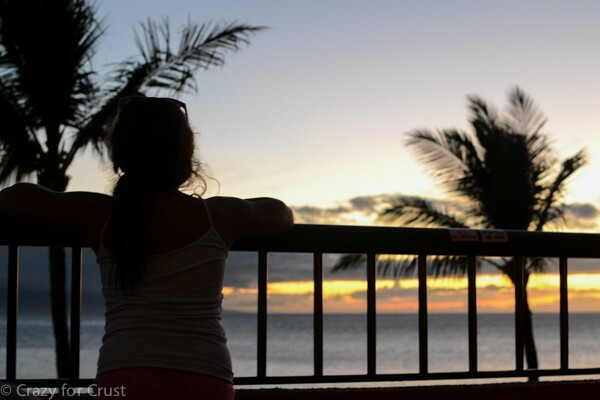 We watched the sunsets every night (and every night was different!) 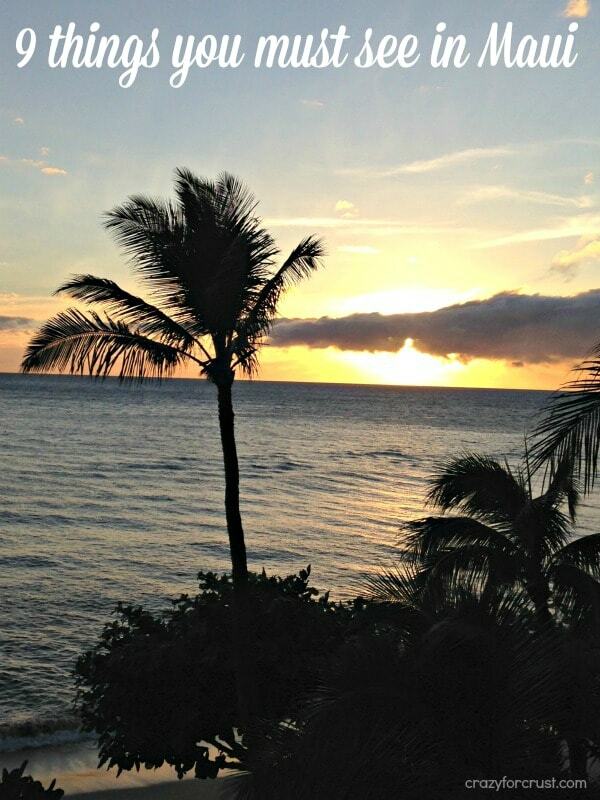 Wherever you stay, try and make sure you get to see the sunset at least once or twice! 2. Have a nice pool at your resort. Wherever you choose to stay, be sure to pick a place with a nice pool. We went to the ocean a few times but it’s really nice on a relaxing day to just walk out of your room and take up residence at the pool. 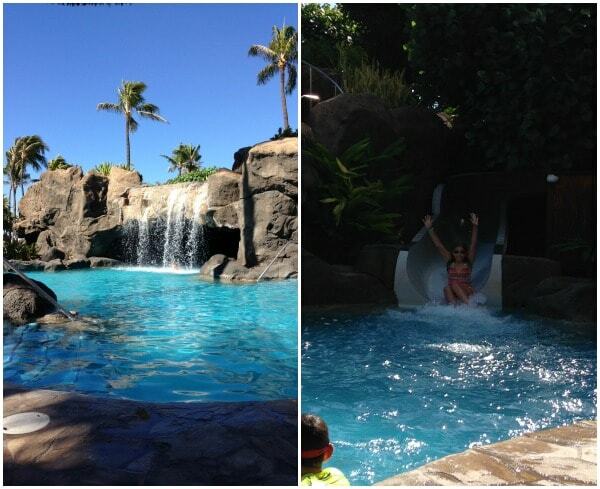 Two of the days we were at the pool for 8 hours! If you happen to be going in the summer months, know that (wherever you stay) the prime pool seating fills up fast. We’d read reviews of the Marriott saying that people put towels out as early as 5am to block seats, so we were a little worried. We were always down there by 8am and found good spots, but that’s because they now patrol it. They have a pool monitor who marks absent chairs so people can’t reserve them too early, which makes it better for the rest of us! 3. Walk on the beach. This is obvious, right? Because Hawaii is 3 hours earlier, we were awake by 6am every day. We took that as an excuse to walk on the beach each morning. 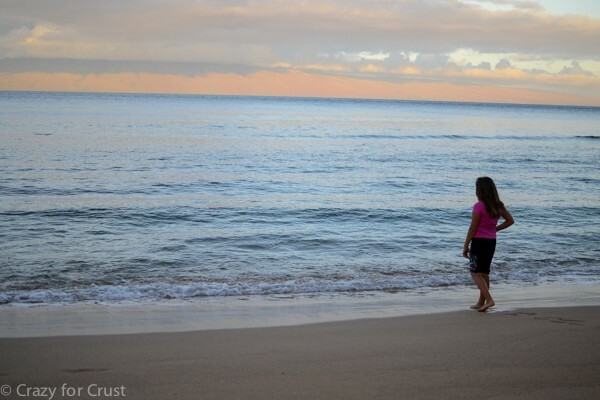 Kaanapali beach is so pretty – you can see Lanai right across the way! There is a path that runs along the beach you can walk (or run) on, or just take off your shoes and get your feet in the sand. You’re in Hawaii! 4. 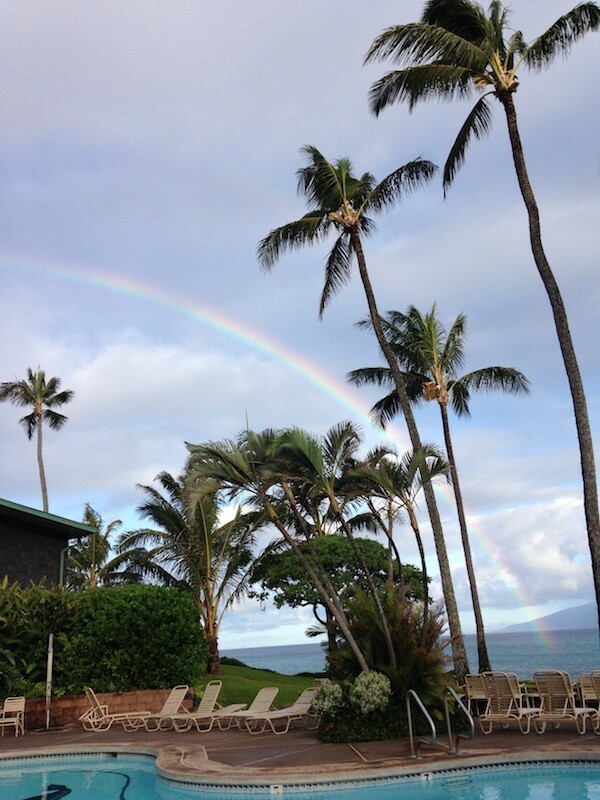 See the Banyan Tree and shopping in Lahaina. 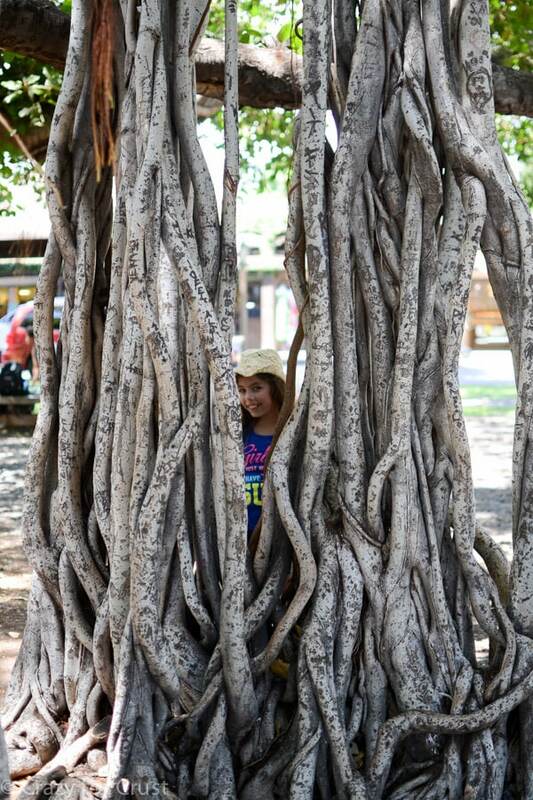 A must-see in Lahaina is the Banyan Tree in Courthouse Square. It’s one tree that takes up the entire square, at least that’s what it looks like. Branches come off the center tree and meet with trees all over the square. Fascinating, and fun to photograph. 5. Take a Snorkeling Catamaran Cruise. 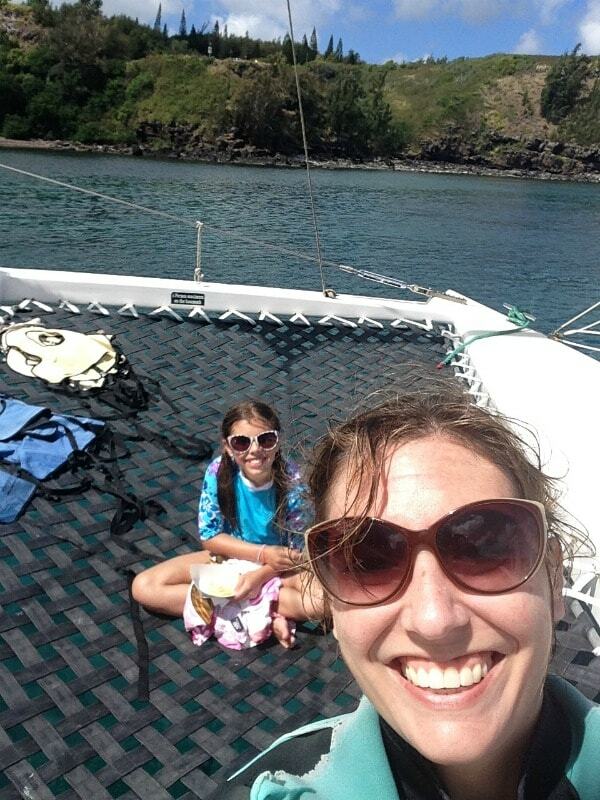 The best day of the trip was, by far, the day we took a catamaran snorkeling cruise with Trilogy. 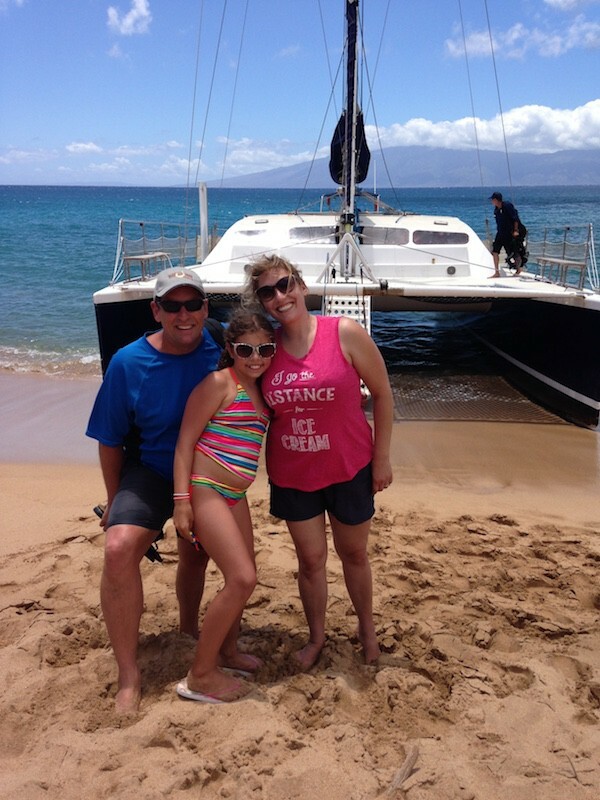 14 years ago on our honeymoon, Mel and I sailed to Lanai on the Trilogy “Discover Lanai” tour. That was a lot of fun (and I totally recommend it for couples) but this trip we wanted something shorter that Jordan would enjoy. We decided on their Kaanapali Snorkel tour. BEST. DECISION. EVER! The day before we went snorkeling on the boat we had snorkeled at Black Rock, which is a popular snorkeling spot. It was fun and I recommend it, but just getting out to snorkel is HARD, especially for kids and for someone like me who is not a swimmer. You have to swim from the beach out against the waves to get to the cove where you see anything. Getting back is the worst – all you can see is the beach that feels miles and miles away. Snorkeling off of the boat was 100% better. The boat is already in the cove when it drops you off, so you just get to snorkel and see things. There’s no current and fighting your way back to the beach. If you’re not a great swimmer or have kids, this is the perfect way to experience magic in the water. The Trilogy sail says “West Maui” because it all depends on current and weather, but I think they normally go to Honolua Bay, which is where we went. I like taking selfies under water too. 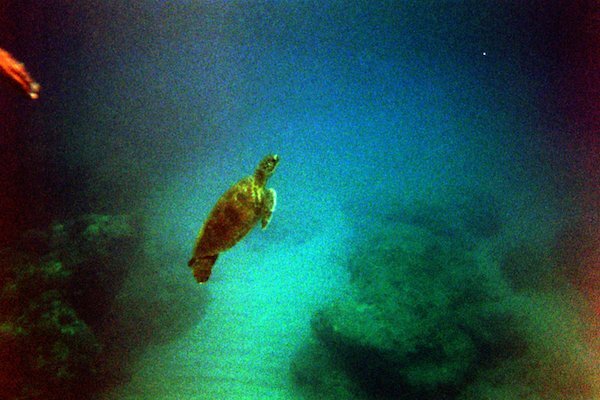 We swam with turtles!! And the coral and fish, oh my gosh. It’s like you’re in a wonderland. 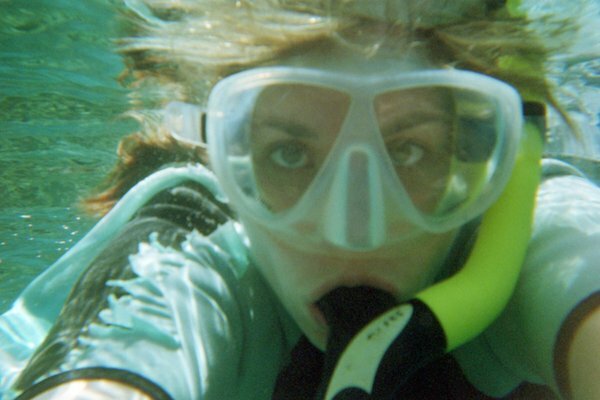 By far, this snorkeling experience was the best one I’ve ever had. They feed you well on Trilogy too. And you get to sit on trampolines if you like, which is where Jordan parked the entire time we were on the boat. We chose do do the Preferred Seating so we had a better view and got to eat earlier. Know that, if you’re going in the summer, there is not very much shade. Within an hour of seating the sun drops low enough to not be an issue but that first hour is a scorcher. The VIP seating was 90% in the shade and the first people who got seated in the preferred groups had shade also. Be prepared with LOTS of sunscreen. 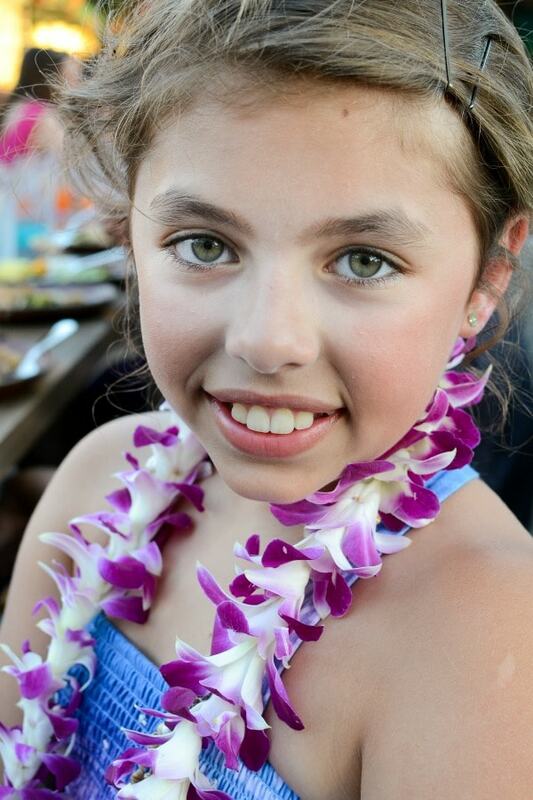 Flour leis only come with the VIP tickets (we got Ti Leaf Leis), so we bought Jordan one for $5. Instead of doing the road to Hana (we were worried about Jordan getting bored and/or carsick) we drove north on Hwy 30 past Napili and Kapalua. There are some very nice beaches and sights along the way, but be warned that many of them include steep walks. We’d planned to get up close an personal with some of the sights in the tour book but the hikes would not have worked for Jordan (or me!) There were great views though! My favorite place was what I think was Napili Beach, near the Ritz. 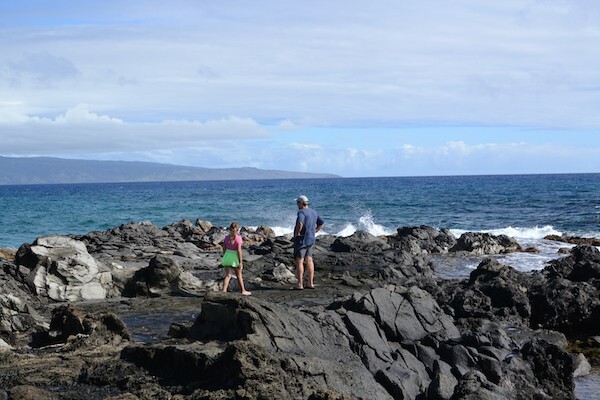 Beautiful volcanic rock jets out into the ocean giving a gorgeous contrast and creating a fun place to walk around. I would have loved to spend the day at that beach – it was deserted! If you’re at all interested in surfing, Hawaii is the place to do it. I loved trying it and I was very proud of myself. I don’t do water, so surfing was one of those bucket list items I didn’t think I’d ever do. Here’s a fair warning to anyone doing surf lessons – with any company: figure out how many surf schools surf where you’re going to be learning. I’m pretty sure that all the schools in Lahaina surf at the same place. We went at 10am and it was packed with people. Here’s how it works: Picture a square. The beach is the bottom, the waves are the top. You wait on one side for your turn, then you paddle out to the wave, paddle across to your instructor, surf, then paddle back parallel to the beach across the current to where you started. This would be fine…if you’re an adult, an amazing swimmer, and/or there aren’t 75 other people surfing in the exact same spot. Note to parents: Go first. Our instructor took Jordan before he took us. We didn’t think about it but that meant Jordan was a football field away after riding a wave and she had to get back on her board and swim across the current back to us alone. If we’d understood that was what was happening Mel would have gone first and waited for her. She did it fine the first time, then she got hit by another surfer. She still has the bruise on her arm (thank GOD it wasn’t her head). I was so proud of her for going back and doing it again but after that she was done. If I had to do it again I would have done it at the hotel: It was just hotel guests and off our beach. It was calmer with way less people. 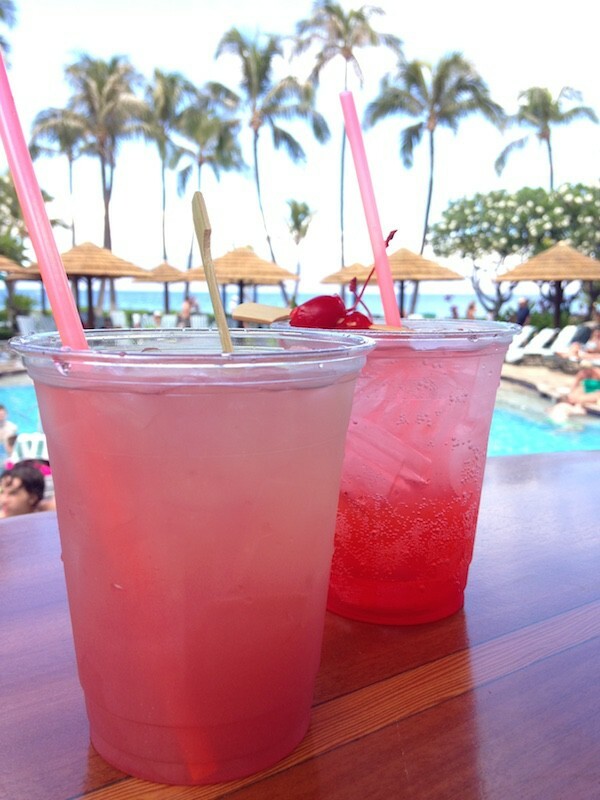 So, instead of doing a swim school right off the bat, research your resort’s options! 9. See a rainbow. Every darn day! 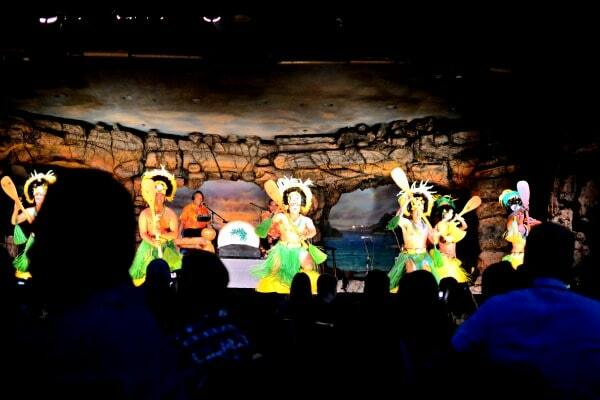 And if you’re in Maui, chances are that’ll happen. Check out my posts on How to Pack For Hawaii and what to pack for a beach vacation over on eBay today!